The Golden Globe nominations are out for 2016, and HBO's sixth season of GAME OF THRONES has made the shortlist once again. GOT will be competing for the Globe for best drama with WESTWORLD, STRANGER THINGS, THIS IS US, and THE CROWN. My congratulations to David Benioff, Dan Weiss, Bryan Cogman, and the rest of our amazing cast and crew... and especially to Lena Headey, who earned a Globe nomination of her own for Best Supporting Actress. Being an HBO guy, I'm thrilled that to see that both GAME OF THRONES and WESTWORLD have been nominated for the big prize... though WESTWORLD is going to be some tough competition. (In fact, I would figure WW for the favorite). And as an science fiction and fantasy geek, I am also delighted to see that STRANGER THINGS made the list. Three out of five finalists being genre shows... and during this golden age of television... is another sign of just how far we've come. My thanks to the members of the Hollywood Foreign Press Association. The winners will be announced in LA on Sunday, January 8. Game of thrones seasons 6 , wrapped a lot of plot lines up, and was on of the most exciting and BEST seasons of the game of thrones series. West world was good, but it was very slow, written well and the hidden agenda was done well, the last two episodes was a eye opener. Stranger things was amazing the best Netflix series yet. However, not being bias but game of thrones season 6 should win hands down. I can't wait for the book :) but please take your time writing it. I loved all your books even the side stories. I was kinda upset when i READ the books because they like 10times better than the HBO) tho books are always better. Congratulations on the nominations ... I'm looking forward to attending the game of thrones concert next year, hopefully there will be an hbo show on that as well. I´ve to agree with you, Westworld is my favorite too and I hope it will win. "your" show was good too, but just not as good. not sure about Stranger Things, it was okay, but the story was a bit weak. what´s your opinion on Stranger Things, besides it being a genre show? To me it's really hard which show to go for whether it would be Game of Thrones, Westworld, or Stranger Things. All the actors are very talented in all three shows. 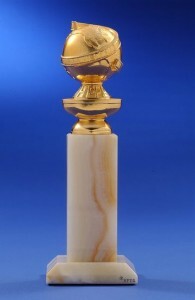 But I personally feel as if Thrones has not won as many Golden Globes compared to Mr. Robot or Breaking Bad. Congratulations! I was skeptical about season six, knowing that the writers wouldn't have as much material to adapt as they used to, but fortunately they mostly proved me wrong. Despite some minor issues, it was an overall really good season. The last two episodes in particular were exceptionally good! Stranger Things and (especially) Westworld were great shows, but Game of Thrones will be tough to beat! Wish they could all win. Great to hear Thrones got nommed and congrats to everyone whose apart of making the series the defining step in television it'd become I am very happy that some new shows got the spotlight as well. Westworld was fantastic, in pretty much every regard. It was great to see HBO branching out. I always felt they've never truly dipped their feet into science fiction, and I'm not going to lie, I have wondered what an HBO space drama would look like. Stranger Things was also remarkable with some of, if not the most talented group of child actors I have ever seen. I also really want to know more about the Demegorgon, because I swear, it's been a long time since we've had a good monster, and that thing knocked it outta the ballpark. 2016 wasn't the greatest year, but it was a fine year for television. Man I wish they could all win. Congrats to Lena! I hope she wins. I also would like to see Winona Ryder win for Stranger Things. She was fantastic. Okay, so I love Game of Thrones (obviously) and Stranger Things and the episode of Westworld I watched was amazing and I can't wait to finish the season soon. But guys, Tatiana Maslany. While I LOVE Orphan Black, I love Tatiana Maslany more. If someone can make you completely forget that they play almost every single character, you know they've got to be good. Say what you want about the show, but she is an exceptional actress who deserves all the awards. I wasn't too thrilled about the ending scenes/twists of Westworld, but it may be too early to Judge. Westowlrd was very, very good and deserves a Globe for Best Drama, more than GoT in my opinion. I am however dissapointed Anthony Hopkins didn't get a nomination, although Wood is a stellar actress as well. Evan Rachel Wood is a very, very tough competitor against Lena Headey,. They're in different categories. Wood is up for lead, Lena for supporting. Fwiw, Game of Thrones lost its title as Most Illegally Downloaded tv show, maybe it'll make up for it with a win here. I think it's very kind of you to give credit to WW and ST but I have to say that imo neither series reach GoT season 6's level of good television at all. Not even by a long shot. Game of Thrones and the amazing people behind and in front of the cameras deserve to win this.